Our courteous staff has offered outstanding plumbing services in the greater Cocolalla area for many years by focusing on our top priority of exceeding expectations and extending affordable, high-quality, and professional services. Whenever your home’s water isn’t working the way it should, it is definitely cause for panic. You depend on your plumbing to keep yourself and your home clean and when it backfires, it can spell disaster. Even the smallest, most insignificant seeming plumbing problems can come back to haunt in the form of extensive, expensive repairs if you let an inexperienced or unreliable plumber tackle the problem. This is why it is so important for homeowners to hire plumbers who know what they are doing. When you are faced with a plumbing issue or emergency, you shouldn’t have to spend a large chunk of time trying to find out more about a plumber’s credentials. Instead, when a pipe bursts or a drain is clogged, get in touch with Covenant Plumbing LLC. At Covenant Plumbing LLC, we are a team of highly skilled and experienced local plumbers that specialize in fast and long lasting plumbing services and repairs in all different types of homes. Unlike the competition, we want to make sure the job is done right the first time around. As far as we’re concerned, in the plumbing business, a reputation for quality and courteous service is the most important asset that a residential plumbing company can have. 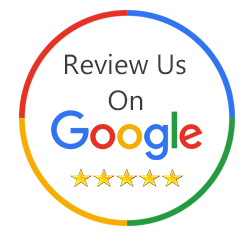 So, if you want to work with tradesmen you can trust, Covenant Plumbing LLC should be your first and only choice for all your plumbing needs. No homeowner is immune to plumbing problems. Whether it’s unacceptably low water pressure, leaky faucets, clogged drains or hot water issues, there are a number of things that can go wrong at any moment. Whenever something does go wrong, you have to resist the urge to try to do it yourself because plumbing is a highly specialized trade that takes years of training. Our residential plumbing services are available around the clock so that the plumbing issue plaguing your home can be resolved by a professional without having to worry. When the air pressure from a plunger doesn’t dislodge the blockage and another dose of chemical drain cleaner stands to corrode your pipes, professional help is the route to go because Covenant Plumbing LLC has all the necessary tools to get your toilets and drains flowing again. No matter what your problem is, whenever your home needs a residential plumber, contact Covenant Plumbing LLC. All information provided is provided for information purposes only and does not constitute a legal contract between Covenant Plumbing LLC and any person or entity unless otherwise specified. Information is subject to change without prior notice. Although every reasonable effort is made to present current and accurate information, LinkNow™ Media makes no guarantees of any kind.